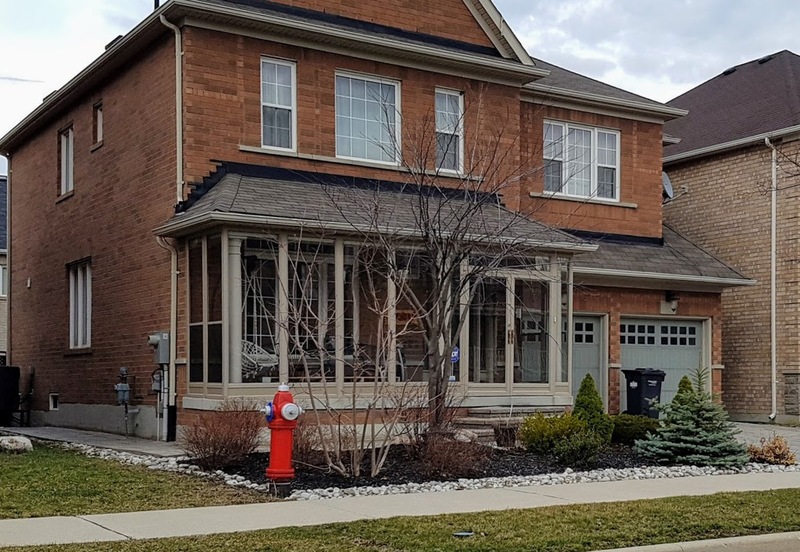 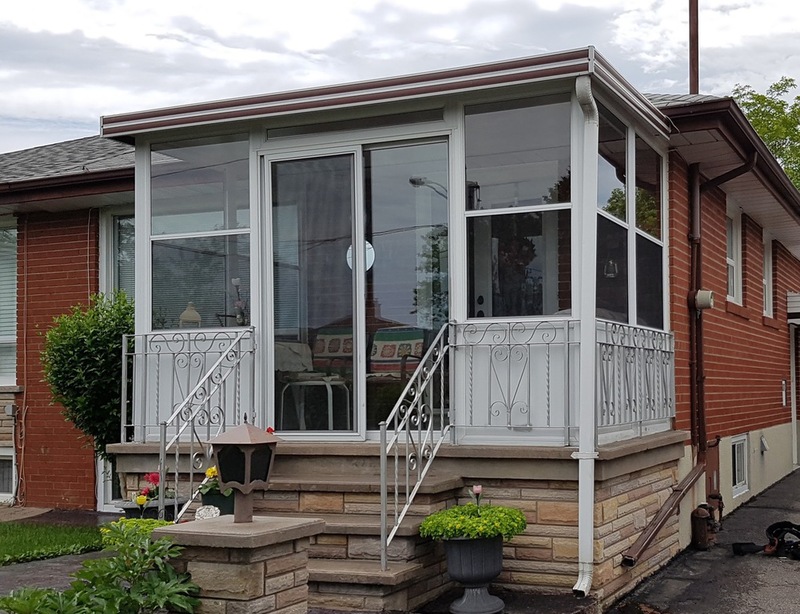 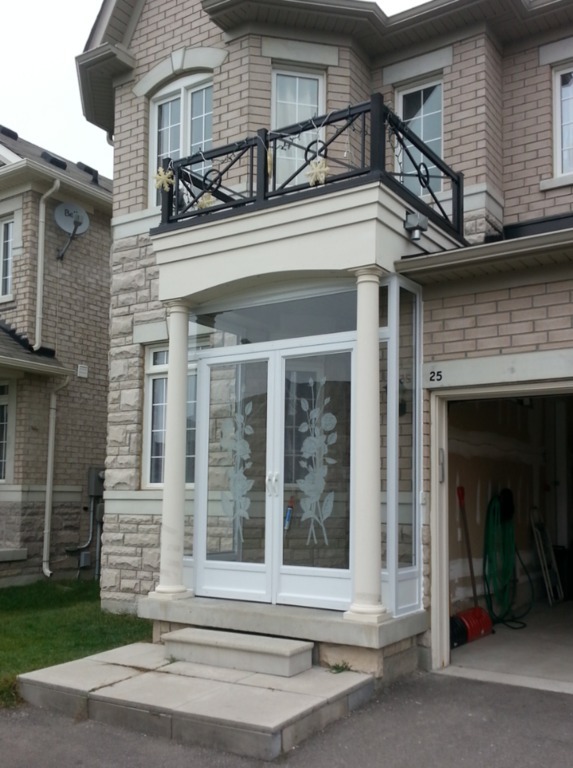 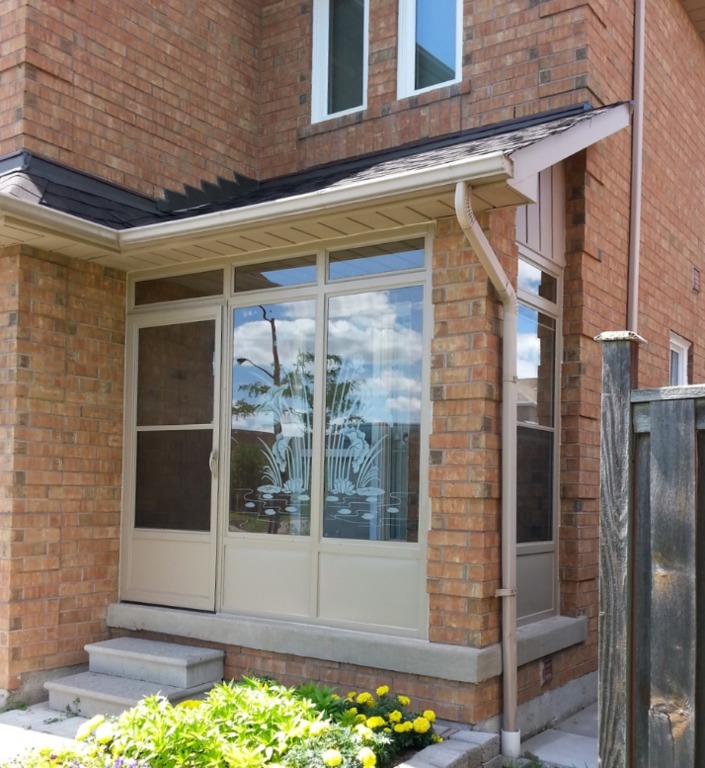 Porch enclosures are immensely practical additions to your home, especially in the extreme Canadian climate. 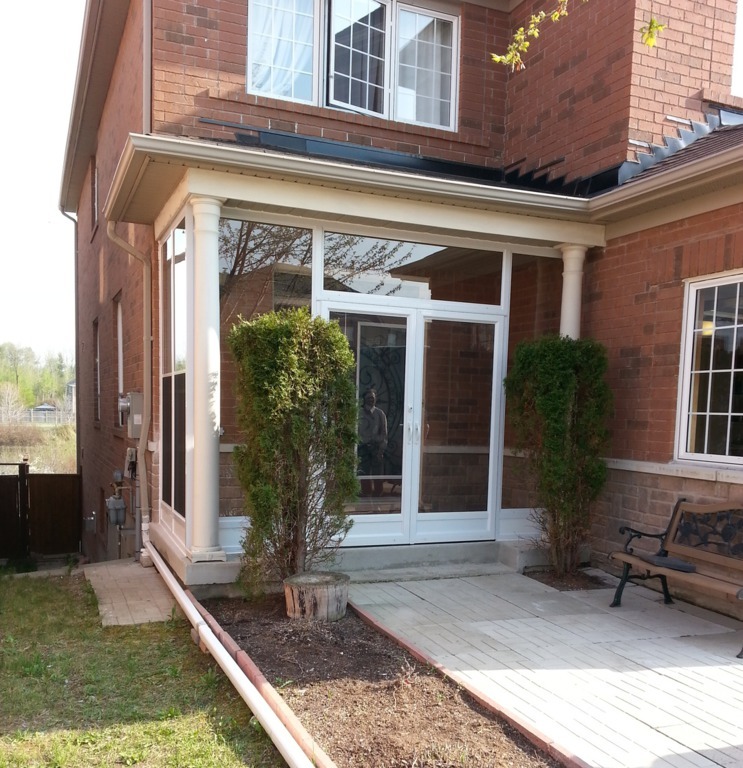 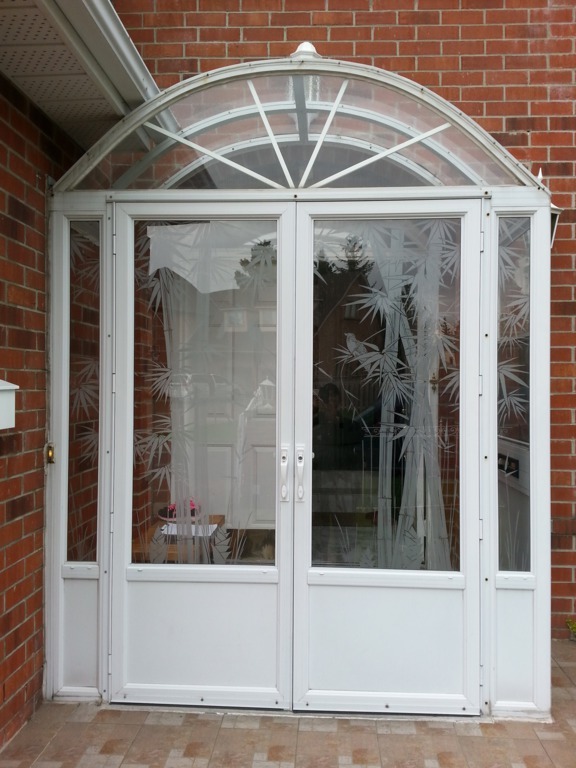 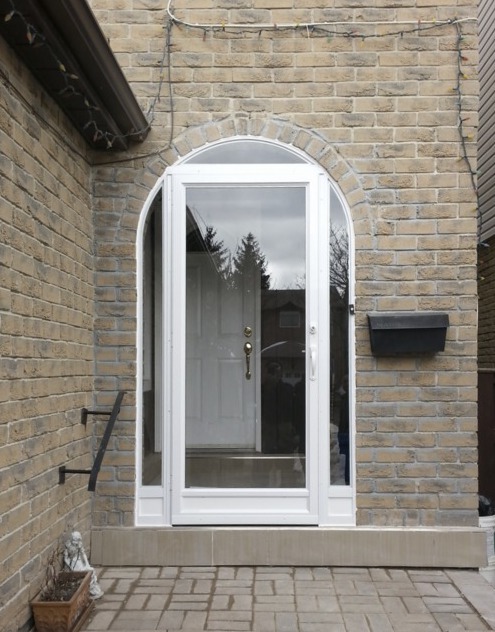 In the winter, porch enclosure acts as another barrier to cold winds and snow every time you open your entrance door. 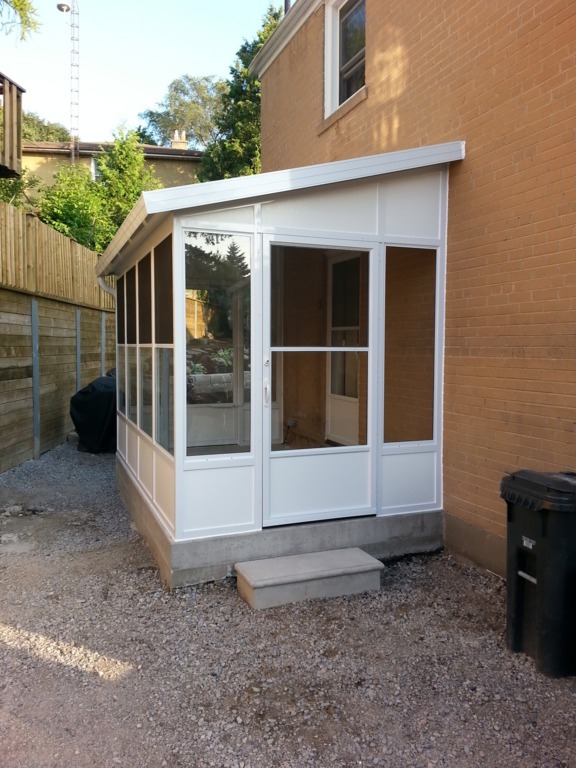 In the summer, porch enclosures with screened doors and windows create a nice bug-free space to sit in the breeze. 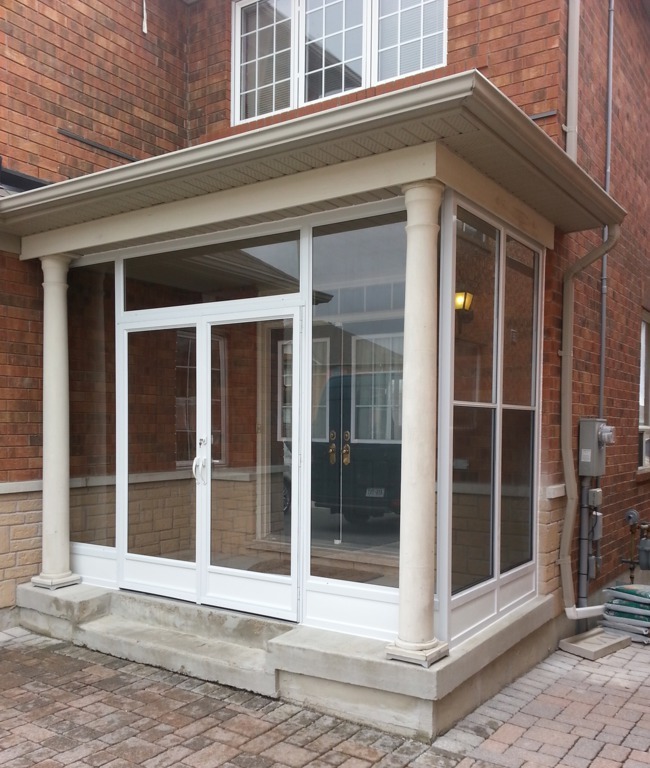 Entrance enclosures are custom fabricated tempered (safety) glass panels and doors made encased in sturdy 2″ aluminum profile specifically designed to fit into these existing openings.